Our album release on April 27th is SOLD OUT! So the folks at Isis Theater offered us the main stage for an Encore performance. Show will start at 8:30! In early October we started recording our first album with Grammy winner Matt Williams at the Eagle Room. Every song is set at a different location in Asheville during the 1920’s-40’s. Five of the tunes were co-written with some of Asheville’s most prolific jazz stars: Michael Gamble, James Posedel, and Steve Karla. Most of the stories were taken directly from my grandparents. Players on the album are Russ Wilson on drums, Trevor Stoia on bass, James Posedel keys, Mattick Frick guitar, Steve Karla guitar, Henry Westmorland trumpet, Eric Heveron-Smith trombone, and Matt Williams on violin. Big thanks to Matt Peiken for previewing our new ablum! 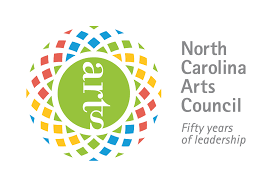 I was thrilled to get the news this week that my application for the Arts Council grant was accepted! So grateful for their belief in this project, and so excited for the financial help to complete it! Our album isn’t even complete, and it’s already going to be on TV! The amazing Guillermo Silberstein made this awesome remix of Hayes and Hopson to be played on “Southern Charms, New Orleans: Season 2” on Bravo. Drop us a line if you hear it, will ya? Thanks to The828 for the write up!